Haiti’s “Eleventh Department,” its foreign-resident and foreign-born Diaspora, now includes thousands of migrants who once lived in Brazil, Venezuela, and Chile and who are now making their way to the U.S.-Mexico borderlands. 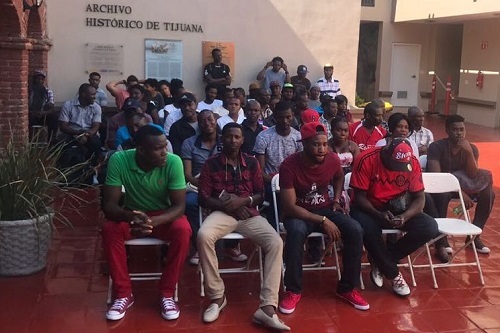 While many cross the border, a steady population of Haitians has grown in cities such as Tijuana, Mexicali, Nogales, Chandler, and San Diego. In the process, Haitians have created a new, overland migratory pattern, but as with the aqueous one before it, this strategy also places them at risk for detention and deportation. And still they come. Interviews with Haitians in the Californias reveal how hemispheric and local forces and also individual desires and household survival strategies inform this migration process. At the center of the presentation are Haitians’ voices as they analyze why they leave and what they hope to accomplish in this new diasporic space.